MENDOCINO COUNTY, CALIF. – August 8, 2018 – Tourism to Mendocino County remains 100 percent operational with all major highways, lodging and attractions unaffected despite the flank of wildfires located in the region’s wilderness areas, according to Visit Mendocino County. As of August 8, 2018 only six percent (6%) of the Ranch Fire is located within Mendocino County. www.VisitMendocino.com. 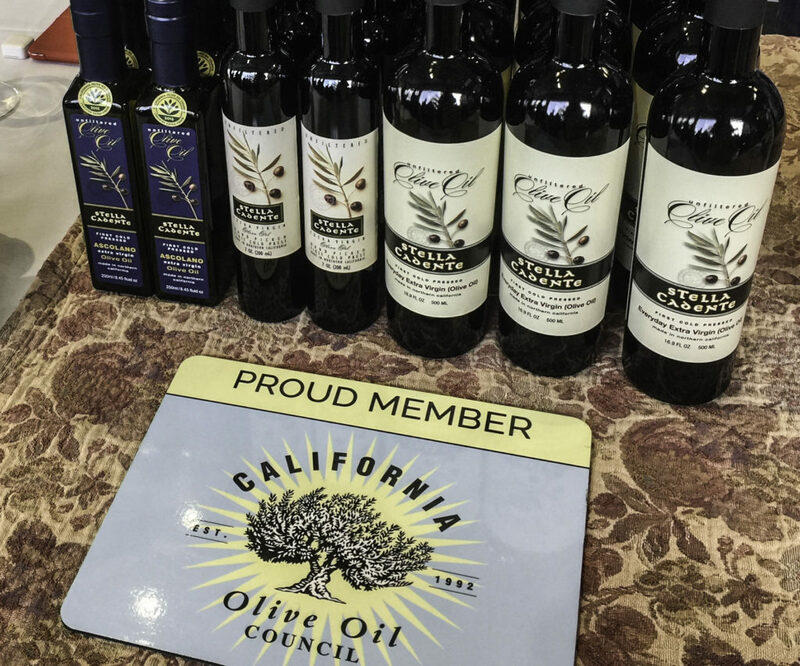 Stella Cadente in Fort Bragg offers handpicked Tuscan-style award-winning organic olive oils that rival the best Italian olive oils. Barra Vineyards of Redwood Valley – Farming organic grapes since 1955, with Pinot Noir, Zinfandel, Cabernet Sauvignon, Sangiovese, Merlot, Petite Sirah, Chardonnay, Pinot Blanc, Pinot Grigio and Muscat Canelli vines on 175 acres at the headwaters of the Russian river. 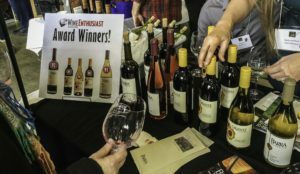 Bee Hunter Wine -From those who will “always be huntin’ for organically grown, sustainable and biodynamic vineyards” with 2015 Docker Hill Pinot Noir, 2016 Mariah Vineyard Chardonnay and 2014 Oppenlander Pinot Noir. Edmeades Vineyards of Anderson Valley -Renowned mature vineyards on Mendocino Ridge offer up unique high quality Zinfandel for more than four decades from their Shamrock, Gianoli, Perli and Piffera vineyards. Fathers + Daughters Cellars -The family vineyard of patriarch Kurt Schoeneman, owner of Anderson Valley’s Ferrington Vineyard, with wines recognized by Wine Enthusiast in the February 2018 issue. Greenwood Ridge Vineyards -This small family owned winery in Philo, CA specializes in late harvest Riesling and Pinot Noir with annual production of less than 1500 cases; featuring an octagonal tasting room designed by Aaron G. Green, an associate of Frank Lloyd Wright. Handley Cellars -Offering balanced distinctive wines with the varietal characteristics of the northwest Anderson Valley, the vineyards produce a special edition 2015 Blanc de Blancs as well as Chardonnay, Pinot Blanc, Pinot Gris, Riesling, Pinot Noir and Zinfandel. 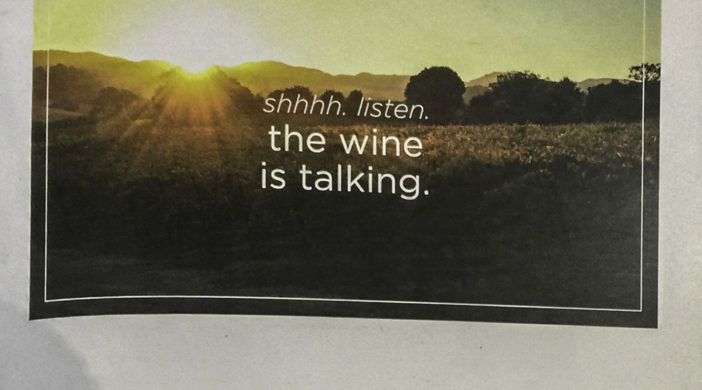 Harmonique -A small lot vineyard with a tasting room in the John Hanes Art Gallery in Boonville, serving gold medal winning Mondial du Pinot Noir and Chardonnay. Artevino Maple Creek Winery -Located in Yorkville Highlands, making small lot wines in the French style with Bordeaux blends; 2015 Estate Chardonnay; 2009 Estate Merlot; and 2013-2014 Anderson Valley Pinot Noir. Murder Ridge Winery -Located on Mendocino Ridge with a distinct micro climate. Vines on Murder Ridge’s rugged steep hillsides produce unique Pinot Noir and Zinfandel. 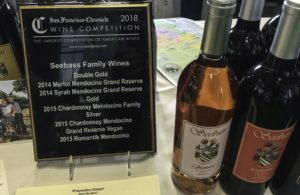 Seebass Family Vineyards -Now nearly three decades under grape, the former 1800’s pear orchard boasts old vine Zinfandel grapes from the era of fine family-nurtured Mendocino wines in the Italian style. The 2014 Grand Reserve Syrah, 2011-2012 Grand Reserve Chardonnay, 2014 Grand Reserve Merlot all competed for my attention, but the 2011 Old Vine Zinfandel won. 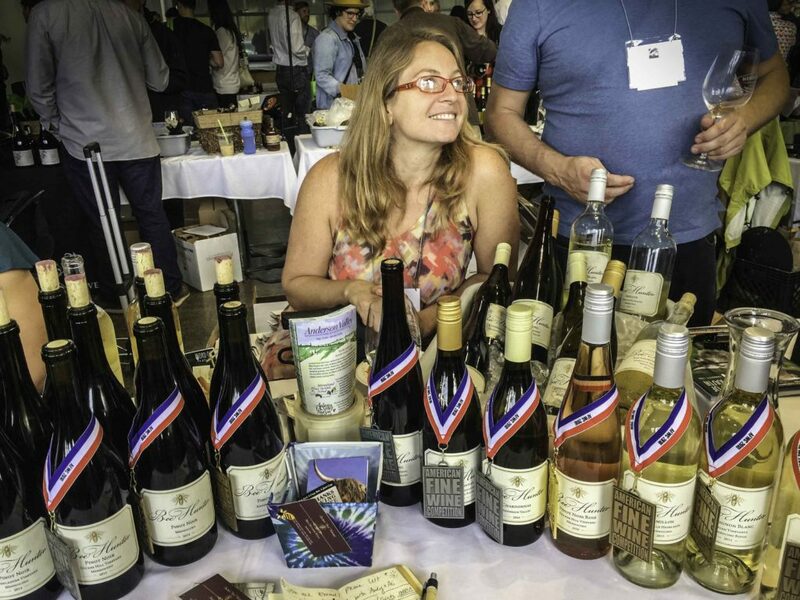 Theopolis Vineyards -A hand-crafted small lot winery in Yorkville Highlands of Anderson Valley with award winning Petite Sirah, Pinot Noir and “Symphony” a blend of Muscat and Grenache Gris. 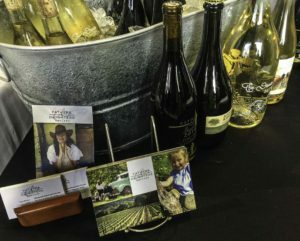 Wilson Artisan Wineries -Based in the Dry Creek Valley, the Wilsons now have 10 artisan wineries including: Wilson Winery, Mazzocco Sonoma Winery, deLorimier, Matrix, Soda Rock, Pezzi King Vineyards, St. Anne’s Crossing, Jaxon Keys, Greenwood Ridge and Rockpile Vineyards. 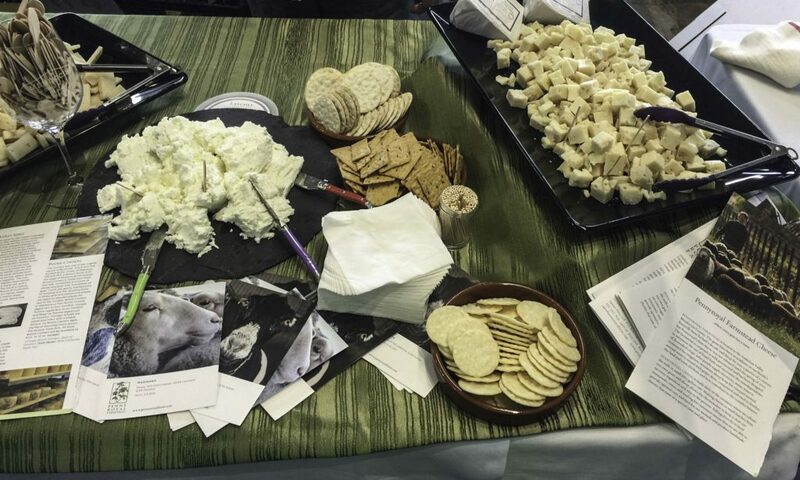 Pennyroyal Farmstead Cheese -Located near Boonville, the creamery tasting room offers seasonal small batch handmade aged cheeses from proprietary mixtures of sheep and goat milks.The cheeses are naturally low in fat. American Craft Distillery -In Redwood Valley, offerings include a clear whiskey, bourbon, Bavarian Hard Wheat whiskey and Russell Henry Gin. Thanksgiving Coffee Company -In Fort Bragg since 1972, this roastery features Fair Trade sustainable organic coffees from farmer cooperatives in Nicaragua, Guatemala, Bolivia, Ethiopia, Hawaii, Laos, Peru, Rwanda, Sumatra and Uganda. Ethically focused on improving the lives of family farmers, the company’s roasting output from Fort Bragg is about 550,000 pounds each year. 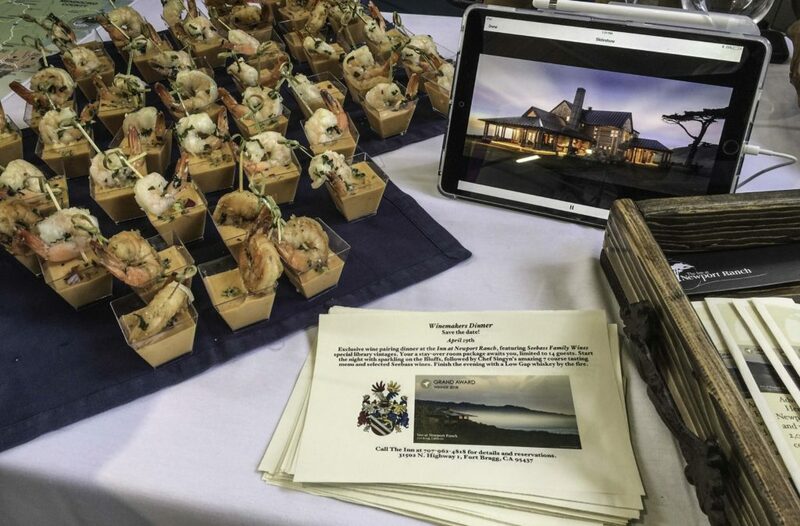 The Inn at Newport Ranch -Located on the beautiful Highway One Coast overlooking the ocean, with coastal redwoods, horseback riding, spa, hiking and whale watching, this small inn has recently been recognized by Conde Nast Traveler, the Wall Street Journal, Travel & Leisure. Plan ahead and book well in advance. 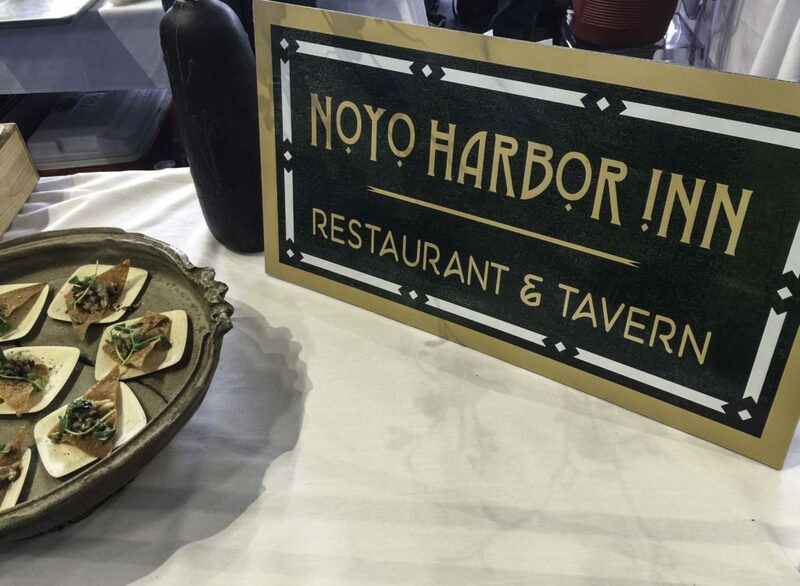 Noyo Harbor Inn -Overlooking Noyo harbor in Fort Bragg, the inn features walking trails to Noyo River and harbor; and dining at the Noyo Harbor Inn Restaurant. 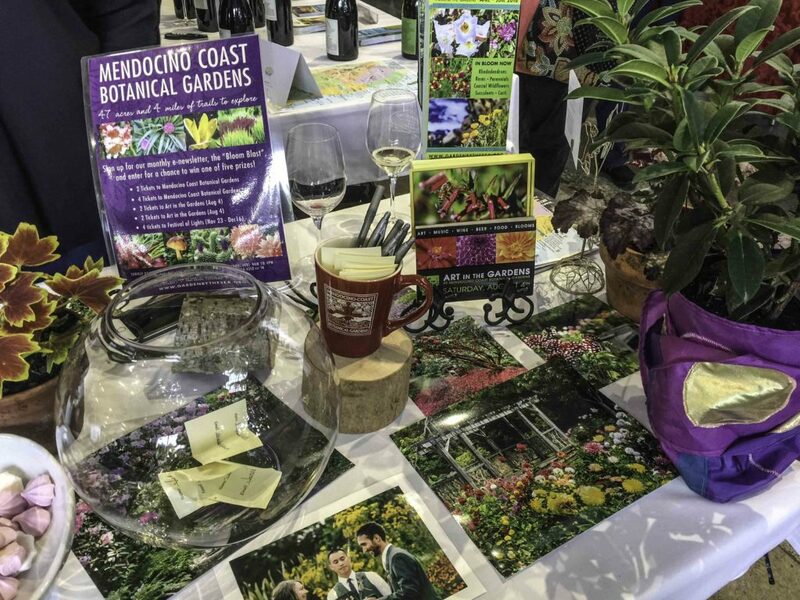 To further pursue your adventures on the northern California coast, visit the Mendocino County website for a complete list of events and activities. Live large and have a “happy.” Click here for more articles by John.